Q I need some Locks for my home. Do you sell Locks? A YES. 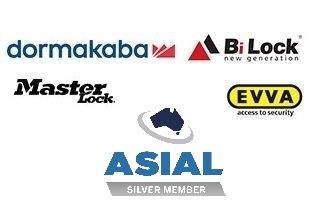 Keycut Services sells a comprehensive range of Locks for residential applications. We can also visit your home for an obligation-free survey. Keycut Services will solve your security problems by supplying and installing the type of Locks to suit your level of risk and budget. Q I have lost the Keys to my home. Do I have to buy new Locks? A NO. Keycut Services can decode or preferably, re-key your existing Locks so the original Keys, wherever they may be, will no longer operate them. This saves the expense of buying new Locks. Q Can I reduce the number of Keys I have for my home? A YES. Usually it is possible to change other Locks to suit one of the existing Keys you have. It is possible for you to have one Key that will operate all the Locks on your home. Q Can I get Locks for windows, sliding doors and screen doors? A YES. Keycut Services can supply many different Locks to suit many different applications. These Locks also come in different colours to suit your existing décor. Q I need my Business more secure. Can you help me? A YES. Keycut Services will visit your Business for an obligation-free survey to prescribe the best Lock to suit your level of risk, environment and budget. Q Can you supply other Locks that can be operated by my existing Key? A YES. In most cases it is possible to manufacture Locks that can be operated by an existing Key. This means you don’t have to carry a whole bunch of Keys to open all your Locks. Q Do you sell Automotive Locks? A YES. Keycut Services can sell you the right Lock for your vehicle. Q My Vehicle door Lock was replaced. Can you change the door Lock to suit the ignition Key? existing Ignition Key. This saves the hassle of having two Keys for your vehicle. Q Someone has stolen the Keys to my car. Do I have to buy new Locks? A NO. Keycut Services can remove your existing Locks and re-key them so the stolen Keys will no longer operate and then re-install the re-keyed Locks in your Vehicle.